My guide tells me to lie down and not move a muscle. The scorching sun is causing sweat to drip down my face and it’s starting to sting my eyes. Above me stands three, seven ton elephants. One elephant is nicknamed Tusker, he embodies this name to the full as he possesses some of the largest tusks of any Malawian elephant. I am on the grassy banks of The Liwonde River in Malawi, on commission by Lilongwe Wildlife Trust to produce the ‘Stop Wildlife Crime, Protect Malawi’s Wildlife film’. A few days later I visited Kasungu National Park. 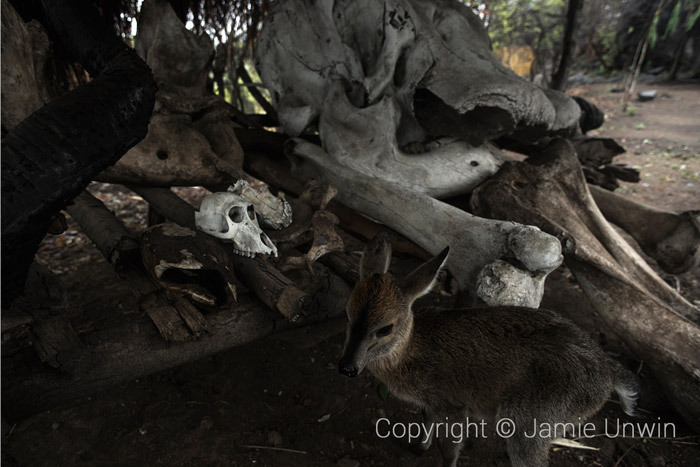 I crouched next to the skull of an elephant named Pongo who ran in terror after being shot by poachers and died of exhaustion at the side of Kasungu dam. In 1980 there were some 2,000 African Elephants roaming Kasungu National Park with countless other species. 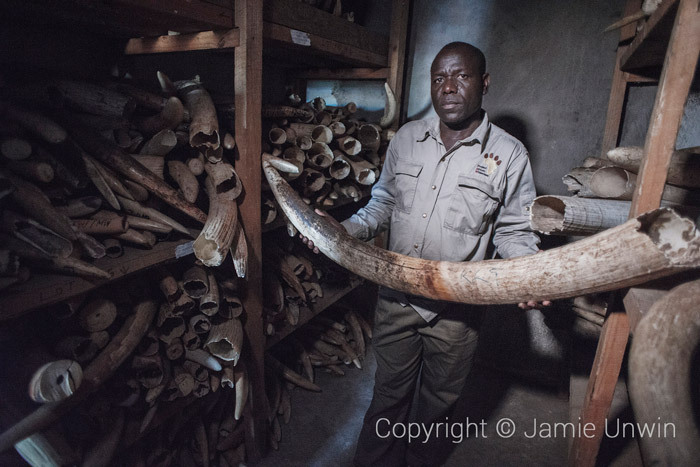 Now all that remains is a herd of 56 elephants – just a fraction of its former population. 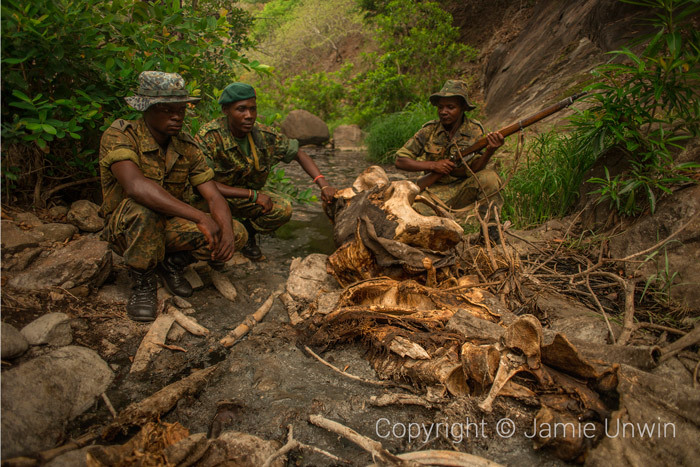 Not long after I left the Kasungu Park another member of the herd was killed by poachers. 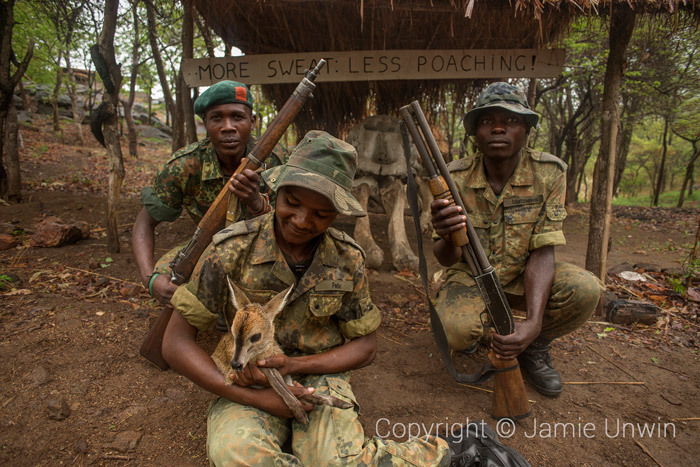 I also spent time in the Thuma forest reserve where I met a remarkable anti-poaching unit, all of whom came from villages close to the reserve and had chosen to follow this profession because they were incredibly passionate about wildlife and wanting to protect it. Seeing this filled me with motivation to help those in Malawi who, against the odds, were doing their bit to protect wildlife. I couldn’t leave this battle without supporting the efforts of the Malawian people to protect their wildlife, so this Christmas I will be returning along with Hannah Pollock and together we will lead ‘Project Malawi’. We have fashioned our very own bicycle powered projector system and we will tour Malawi showing the film that I produced last Christmas to as many remote communities as possible. Alongside the film we will be running many educational initiatives aimed at inspiring and educating everyone in the communities, from the children to the elders. 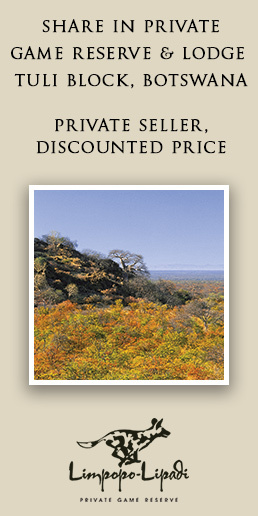 We have joined up with Lilongwe Wildlife Trust to do this. We’re not stopping there, with assistance from Whitley Wildlife trust and Exeter Annual Fund we plan to take hundreds of children into the national parks to see their country’s wildlife. Giving them a Christmas present they will hopefully remember forever. We hope to inspire a generation and leave a lasting legacy in communities throughout Malawi, ensuring people really value the wildlife that they have. 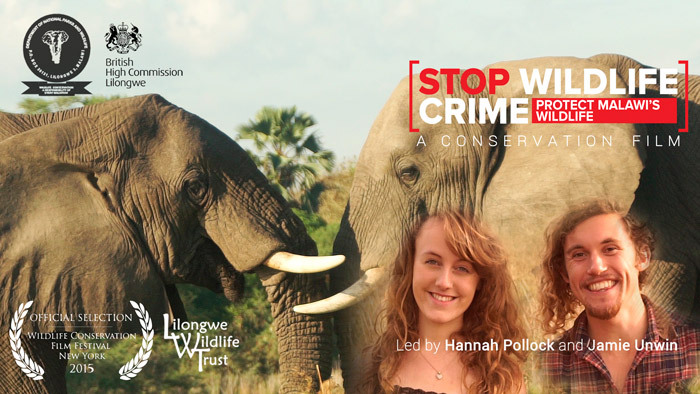 In order to show the steps Malawi is making to stop wildlife crime, we will be filming this entire project so that we can show it to an international audience to inspire other nations to stand up for nature! Follow Hannah and Jamie on their incredible journey through Malawi on Twitter or via their blog.